Upper Deck Entertainment Announces the “Legendary™ Name a Set” Contest! Are you ready to “Become Legendary”? Well, now is your chance to do just that. Upper Deck Entertainment is pleased to announce our first ever “Legendary™ Name a Set” contest. 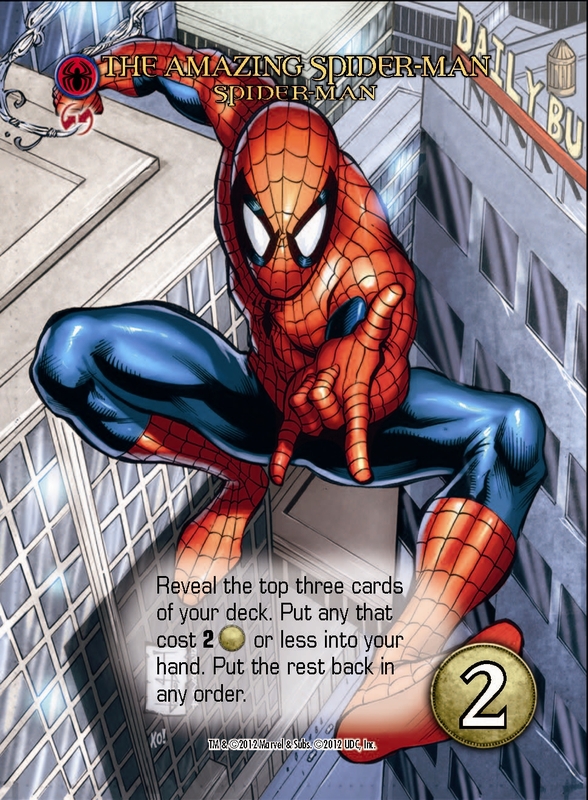 As most of you know, and for those who do not, Legendary™: A Marvel Deck Building Game will release its next expansion, a set focusing on Spider-Man and his allies, in February 2014. In doing so, we are offering fans of the game a chance to name the set! That’s right, YOU, the fans, get to name the next Legendary™ expansion! All you have to do to enter is post your name idea in the comment section below and if we pick yours as the winner, then we will use it as the set name on the box! In addition to having the set name on the box, winner will receive a Legendary™ bundle from Upper Deck, which includes all current sets as well as enough sleeves to sleeve all the cards! Please have your submissions in no later than Dec 2nd, winners will be chosen by Dec 13th. This promotion is in no way sponsored, endorsed or administered by, or associated with, Facebook. This contest is not sponsored, endorsed, or administered by Marvel. Must be age 13 or over to participate. All set names are pending third party licensor approval. Should two fans submit the same name, the name that is submitted first will have the opportunity to be selected as the winner. The name selected in the contest may NOT be used on the actual product. Please see [https://www.upperdeckblog.com/2013/11/rules-copy-legendary-contest,] for official rules. UPDATE: Hey all, well we have hit the date where we pick the winner of the Spider-Man name a set contest. We received hundreds upon hundreds of entries and I can honestly say this was a tough decision. “Paint the Town Red” by Joshua King. There were a couple other entries with the same suggestion but Joshua was first to post it, so lets all congratulate him as his selection will be on the front of the box. Marvel has already given the ok! The bond can fit with allies and the symbiotes. Chaos fits to spider-man’s life in general and what tends to bring him together with others and well carnage kind of embodies the concept. Well, today is the day! Looking forward to the official announcement of the chosen name! Hey all, well we have hit the date where we pick the winner of the Spider-Man name a set contest. We received hundreds upon hundreds of entries and I can honestly say this was a tough decision. These are in no particular order btw.